For the episode of Gotham airing November 17, all eyes are on one character: Harvey Dent. The name of the episode, in fact, is "Harvey Dent." Everyone who's seen The Dark Knight Rises (or, you know, Batman Forever) knows that Dent eventually becomes Two-Face, one of the iconic Batman villains. I know a lot of fans who have been clamoring to see Dent pop up on the show — which isn't lacking in beloved Batman characters — and their patience will finally be rewarded. But Dent isn't the only character slipping into Gotham this week. The credits also list someone named Ian Hargrove, played by Leslie Odom, Jr. So, just who is this Ian Hargrove, Gotham 's newest character? The question isn't that easy to answer. It seems there's an air of mystery about Mr. Hargrove. Not much is known about him, or what his connection to Dent might be. He's not a famous character like Dent, and he doesn't have a roster of actors like Tommy Lee Jones or Aaron Eckhart making him larger-than-life on film. Unfortunately, in this case, the comics don't give us a sense of who Hargrove could be. He's not an already established character. It seems that, each week, Gotham is coming up with more and more characters of its own invention. To me, that's a good thing. You know that Osborn Cobblepot is going to become the Penguin, that Selina Kyle will be Catwoman, and that Harvey Dent will become Two-Face, but nobody knows what Ian Hargrove will turn out to be. New characters add an element of surprise into the mix. There are rumors on the internet, via Spoiler TV, that Hargrove will be a villain of the week: a skilled bombmaker — one who possibly blew up Gotham ammunition factories, then turned himself in — who either escapes or is kidnapped while being transferred in custody. I'm not sure Spoiler TV got this information, though, so it could be wrong. But that doesn't sound out-of-bounds for Gotham. The idea that someone would do something illegal, like planting bombs in ammunition factories, but to uphold a set of personal moral standards — that's exactly the moral gray area where Gotham likes to live. 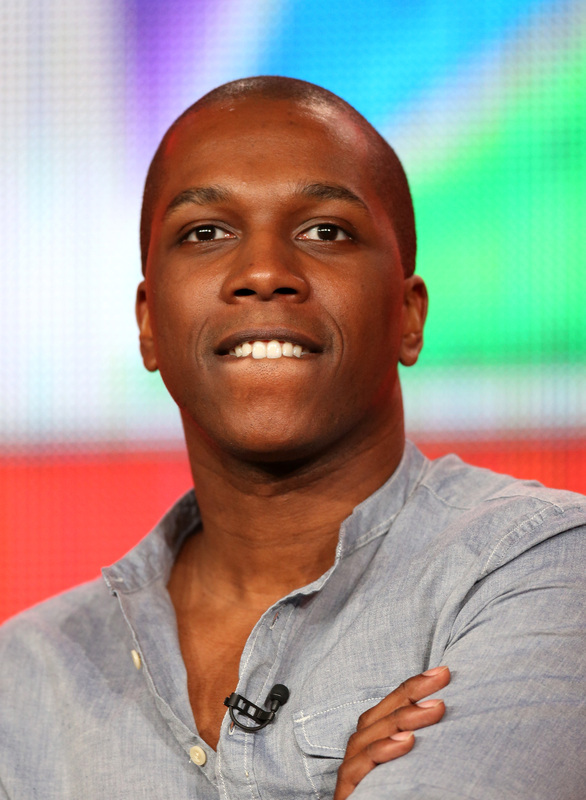 Leslie Odom, Jr., has a ton of projects going on at once. He's racked up a bunch of TV credits, with recurring roles on Person of Interest, Law & Order: SVU; and Smash. He does theater, with a role in Leap of Faith and the upcoming Hamilton. He even has his own self-titled album. With an actor that multi-talented, do you think Gotham will let him go after a week? I hope that, whoever Hargrove is, he gets to turn up in more than one episode.